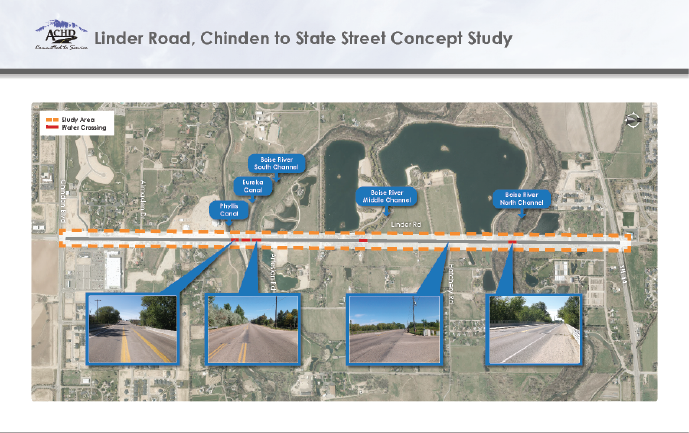 ACHD is conducting a study along Linder Road between Chinden Boulevard and State Highway 44 to evaluate future roadway widening and improvements based on future transportation needs of the community. In order to evaluate all the issues surrounding this stretch of Linder Road, we are interested in receiving feedback from the traveling public, residents and property owners about improvements they feel need to be made along this segment of Linder Road. Study Description | Why Linder Road? Thank you for your interest in the Linder Road Study. The comment period closed on December 17, 2018.